Well, well, well. Didn’t I relish that gushing endorsement of social computing last week by Marc Benioff? Yes. I did. As the conversation took off on Twitter, what was game-changing-significant was that a tech celeb– known very well in Enterprise circles, as well as the financial community– threw his Enterprise SaaS hat in the ring and announced the company’s, “Biggest breakthrough ever: Salesforce Chatter.” Of course, Salesforce Chatter is the company’s answer to social computing. Sometimes it takes a celebrity to help a new technology cross the chasm. But more often than not, however, the most influential catalyst is market acceptance. So, whilst I welcome the newfound attention and consciousness-raising for 2.0 adoption in business, I’m eager to start publishing some of the factual data that supports the hype is not without merit. The 2.0 Adoption Council is now unveiling some of the research we’ve been collecting on our members. The first synopsis report should be ready this week, available for download. 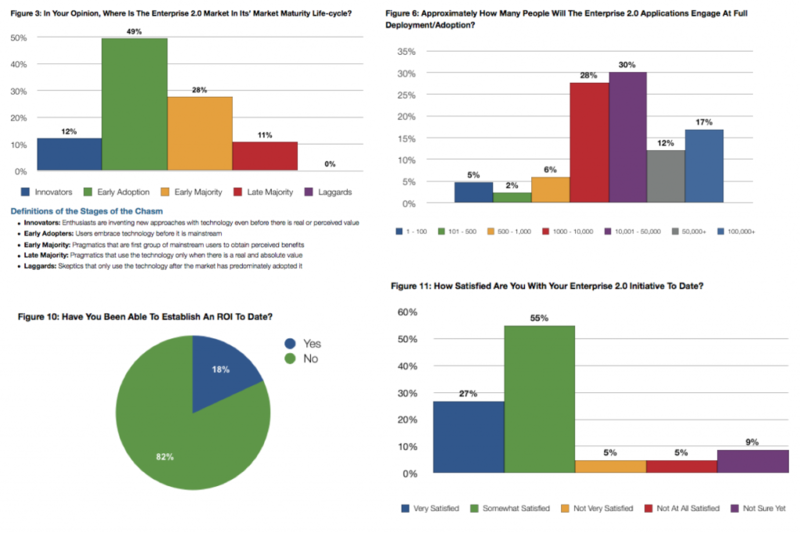 The survey reflects responses from over 70 of our members spanning over 17 industries, managing over $50M in budgets expressly dedicated to Enterprise 2.0 initiatives. 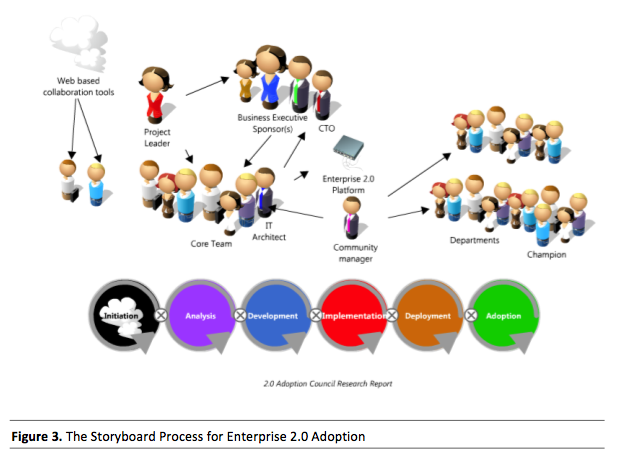 In addition to our survey research, The Council has also released its first “how-to” report, “A Framework for 2.0 Adoption in the Enterprise.” This report was written by Gil Yehuda after interviewing members who described a narrative on how rolling out an initiative worked at their large enterprise. The paper tracks neatly through a logical iterative sequence and “Director’s Commentary” on how to successfully introduce 2.0 technology and practices to a diverse employee base. The market survey results should be ready this week for download free (courtesy of OpenText who sponsored the study), but the “Framework” report is available now for $425 in our store. More good news coming from the Council includes the announcements of some strategic relationships, as well as a new web site currently in production.